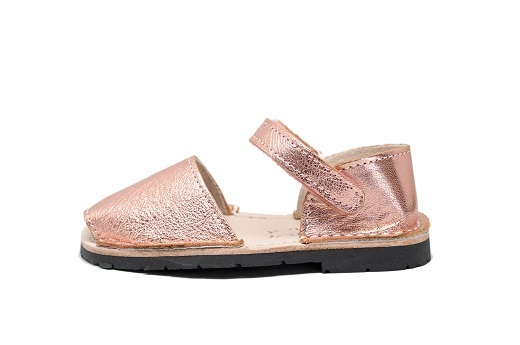 This rosy-hued pair of strappy sandals will lead to a number of cute outfits and fun adventures as a part of your child’s wardrobe. 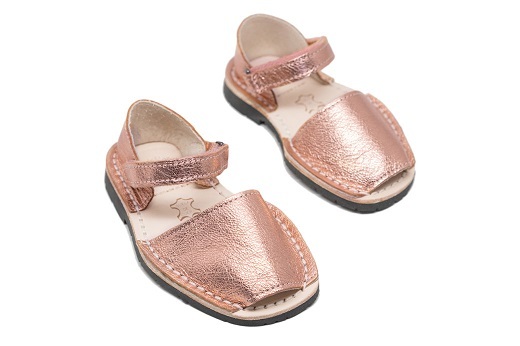 Handcrafted on the Spanish island of Menorca, our kids Faileras in Rose Gold are produced with high quality natural leather, a durable rubber sole, and feature an adjustable velcro strap for more comfort and stability. Let these shining beauties take your child wherever their imagination dreams!